For a different experience, for business, for pleasure, for you and your guests! 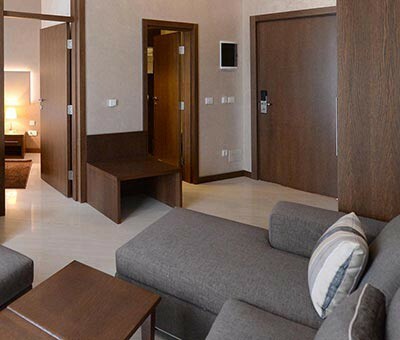 Discover the newly opened, modern hotel Maydan that exudes elegance and comfort. Pleasant atmosphere with all the comforts provided by four-star hotel will not leave you indifferent. Whether you visit Belgrade for business, pleasure or vacation, friendly hotel staff will be there to fullfile all your requirements and will make sure to provide the experience worth remembering. We are located at the entrance to the city, 300 meters from the Belgrade-Nis highway E-75, 6 km from the city center and 8 km from Belgrade Fair. 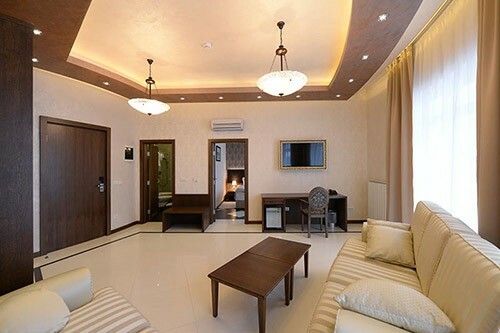 In addition to the extraordinary comfort and a warm and relaxing atmosphere, one of the hallmarks of your stay will be a wide range of hotel services and amenities. We have double and triple rooms, junior and senior suites. Each room is air conditioned, has a safe, silent mini bar, LCD TV 32 ", telephone, hair dryer and free Wi-Fi. 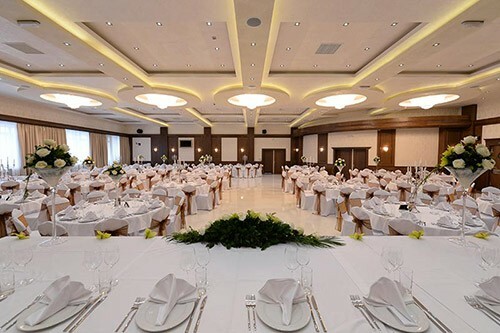 New most exclusive wedding hall in Belgrade, with a capacity of up to 350 guests. Superior ventilation and air conditioning. Unique lighting with crystal chandeliers, roto heads and loft color. Parking for 110 vehicles. 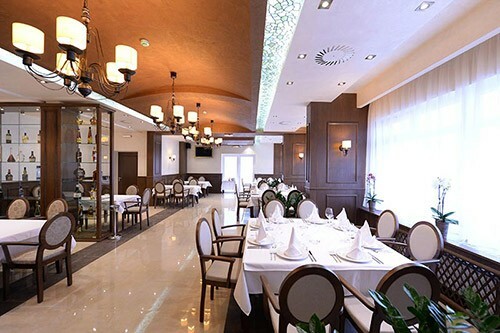 We offer you a modern kitchen with excellent national dishes. Come and enjoy a long experience of great chefs in the restaurant capacity of 56 guests. Wi -Fi is free.